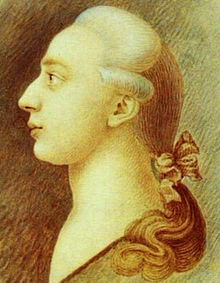 Giacomo Girolamo Casanova (2 April 1725—4 June 1798) was a famous Venetian adventurer and writer. He was born in Venice. He is best known for having had many affairs with women. He died in Dux, Bohemia, (now Duchcov, Czech Republic). ↑ J. Rives Childs (1988). Casanova: A New Perspective. ISBN 9780913729694. This page was last changed on 9 March 2015, at 02:07.